This post was sitting in my draft section since a very long time. I have prepared this ample amount of time but never really got to right down the measurements. And last week when I prepared this I made sure I am jotting down every single ingredient and measurement and finally got to post it. 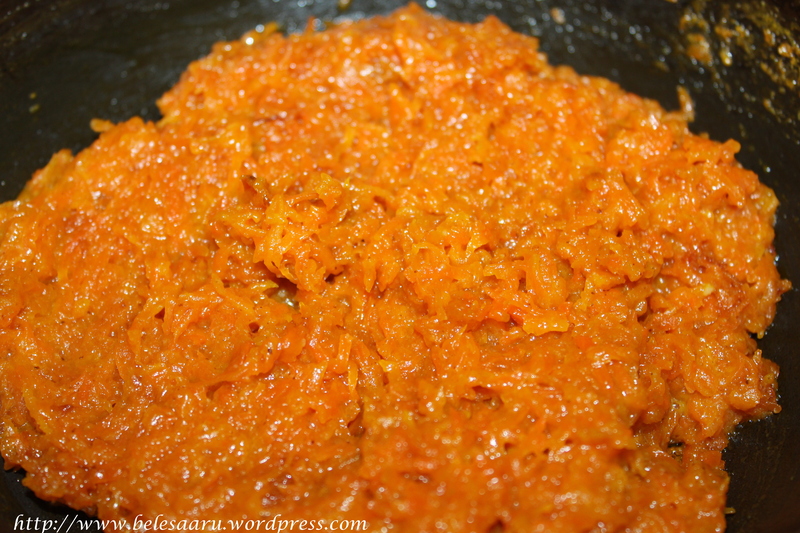 Who doesn’t love gajar ka halwa in India or elsewhere, it’s the most popular sweet served in several occasions. Having a scoop of vanilla ice-cream is a greatest combination to have this sweet in my opinion! Heat clarified butter in a pan on medium heat, then add cashews and sauté until light golden brown. Add raisins mix for 5-6 seconds and quickly remove the cashews and raisins leaving behind clarified butter in the pan. 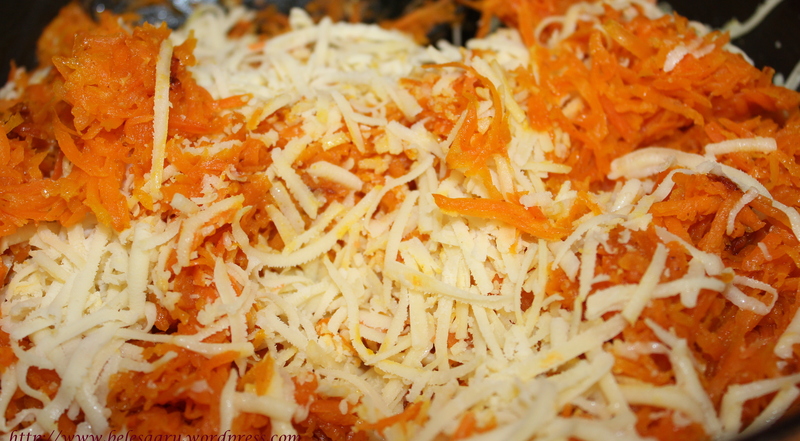 Now add the grated carrots and cook them nicely in the ghee (for 8-10 minutes). Add khoya give it a nice stir and lastly add sugar. Mix and cook for 6-8 minutes until everything is well combined and comes together. Add in cardamom powder and mix. 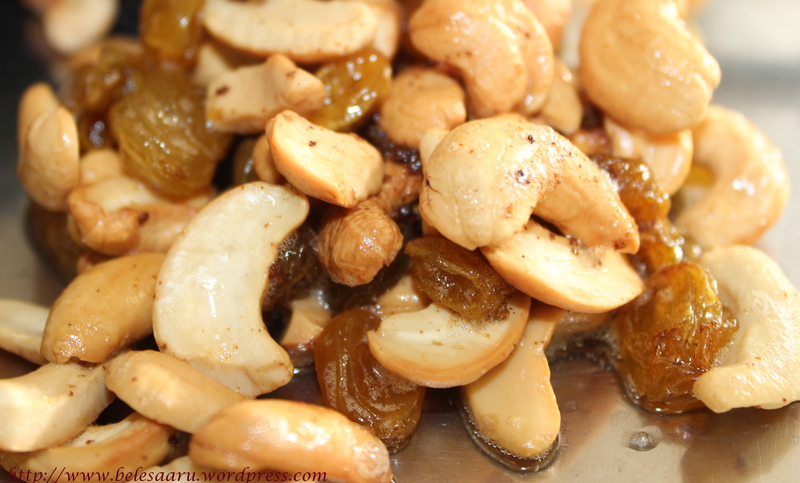 Garnish with cashews and raisins! Yeah Dedy, I have seen people using it and that version tastes great too! Never seen with cashew instead of pistachio before, sounds introguing!!! 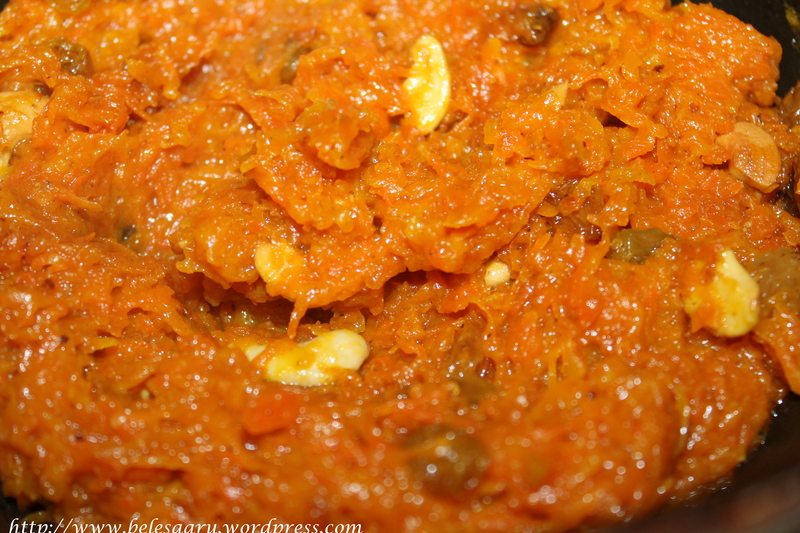 Delicious looking and mouthwatering looking gajar ka halwa. Excellent preparation. 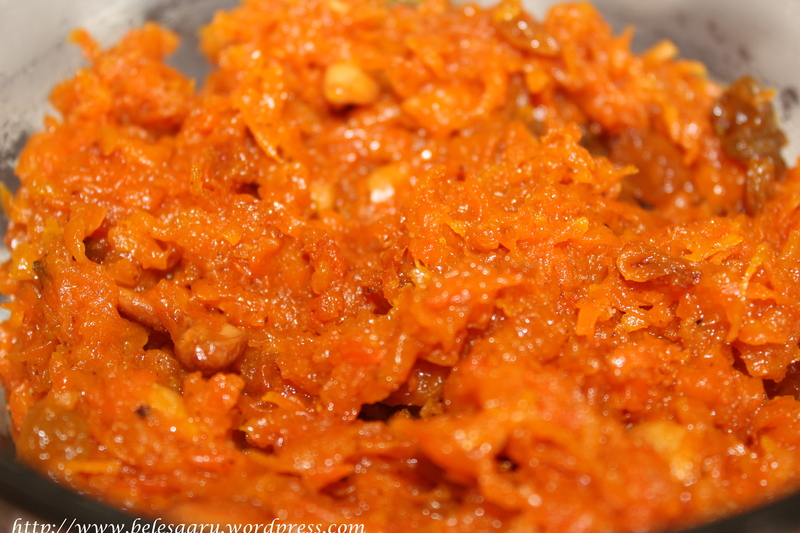 Carrot halwa is a favourite in our house. 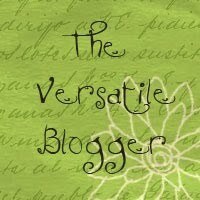 Like you, I have it stored away in my folders looking for an opportunity to post. Your’s looks so delicious and the consistency and colour are perfect! Thanks Sonali! guess no one resist the temptation of eating this delicious sweet.. It is amazing how halva is spread from Greece to India! 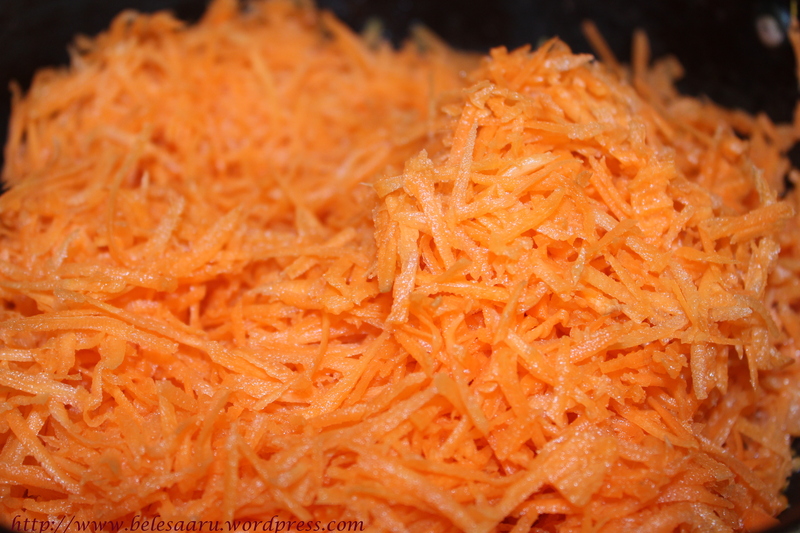 I love your carrot halva! Yes Katerina, it is very interesting to know how food travels around the world…and how its been adapted from one culture to the other. 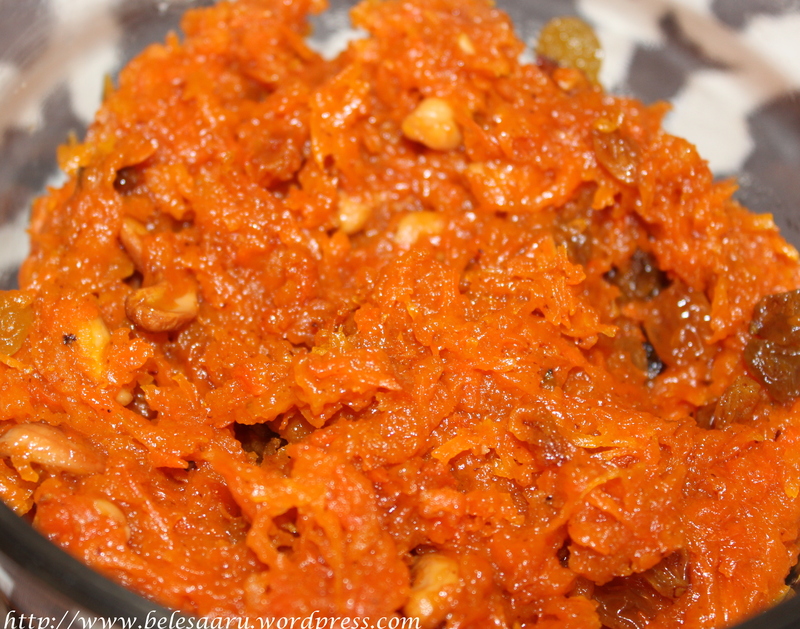 Your Carrot Halwa looks utterly delicious and I am most intrigued by this recipe – it has such wonderful ingredients and such a fabulous color – I would love to have a taste of this as carrots with their natural sweetnees are some of my very favorite vegetables! Thanks Andrea! absolutely, juicy carrots with solidified milk and cashew brings a rich taste and sugar added to the halwa gives it a glossy finish and sweetness to the dish..Its one of the most common and wanted dessert in many homes and ceremonies!! Looks delicious this halwa…and so pretty! Thanks Juliana! You have a great week too! This classic halwa looks inviting! Thanks YC! Have a nice weekend ahead..